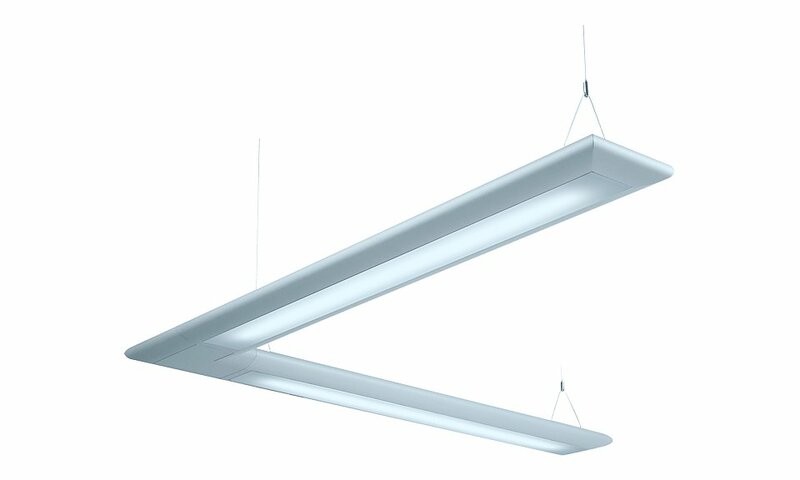 An architectural range of modular LED luminaires with a 53mm low profile extruded aluminium body. Designed for surface or pendant mounting, the Beta LED System is ideal for the illumination of offices, schools, commercial premises, reception desks and retail environments. Mid and End modules can be coupled together to form various configurations. Dummy sections can be fitted with a variety of accessories including emergency, detectors and speakers. The Beta LED System range is particularly suited for use in the following applications and environments. Download Beta LED System Photometric Data in EULUMDAT (ldt) format suitable for use in lighting calculation software such as DIALux and Relux. Other lengths of dummy section available on request, available in either white (W) or silver (S). Various corner angles are available including X and T intersections. Please consult our Sales or Lighting Design teams for further information. See our Controls sub-site for a complete list of stand-alone and integral detectors that can be mounted in a dummy section. In order to calculate accurate weight distribution on surface mounted systems, please contact our Technical Department with your specification. The Beta LED System has been used to great effect on the following highlighted projects.